Alan Gentle was in his office, chipping away at the administrative details of his staff’s financial work – when the phone rang. It was the Boston Municipal Research Bureau calling with exciting news: Gentle had been selected as one of the winners of the 2018 Shattuck Awards, the city’s most prestigious honor for public service. “This Alan Gentle?” said the only Alan Gentle in Boston. To be fair, Gentle smacks more of an accountant than hero of the common good. Buttoned-up in speech and dress, he keeps an unassuming profile. But under his direction, the Roxbury Center for Financial Empowerment has played an industrious role in narrowing Boston’s economic gap. Alan Gentle unsuccessfully trying to elude the camera in the lobby of the Roxbury Center for Financial Empowerment. While the Office of Workforce Development (one of the Center’s parent agencies) positions residents for better jobs, the Roxbury Center delivers the other half of the wealth-building equation: Helping low-income residents maximize the money they have. 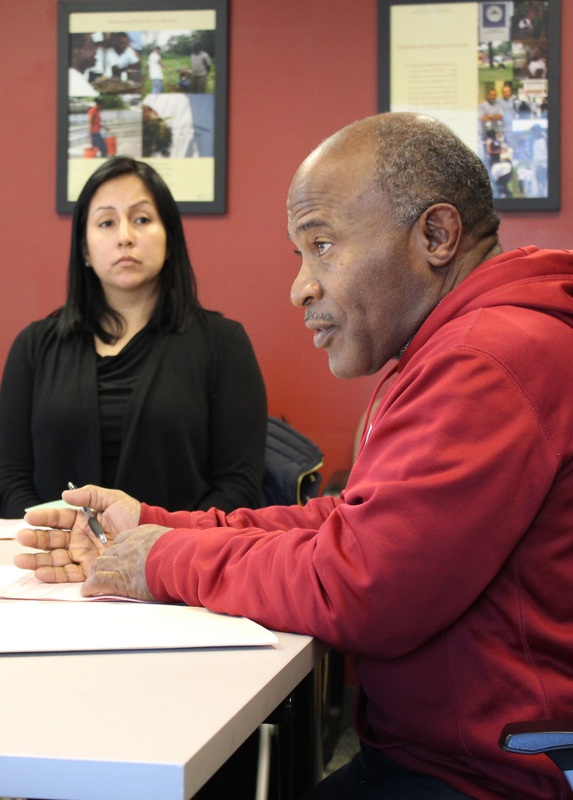 Each year some 4,000 residents come to the Roxbury Center’s Dudley Square office, part of the Office of Financial Empowerment, for free financial and employment coaching, credit-building workshops, tax preparation, and Financial Check-Ups. For many residents, these services have turned fragile hopes into financial realities: A college savings fund. Completed car payments. A new home. For client Norma Heath, financial coaching revealed a new sense of self. Gentle and his staff are able to catalyze such radical transformations because they are led by those they serve. Based on client suggestions, Gentle streamlined the intake process to quickly connect them with their financial coaches. He also ensures that coaching focuses on clients’ goals. 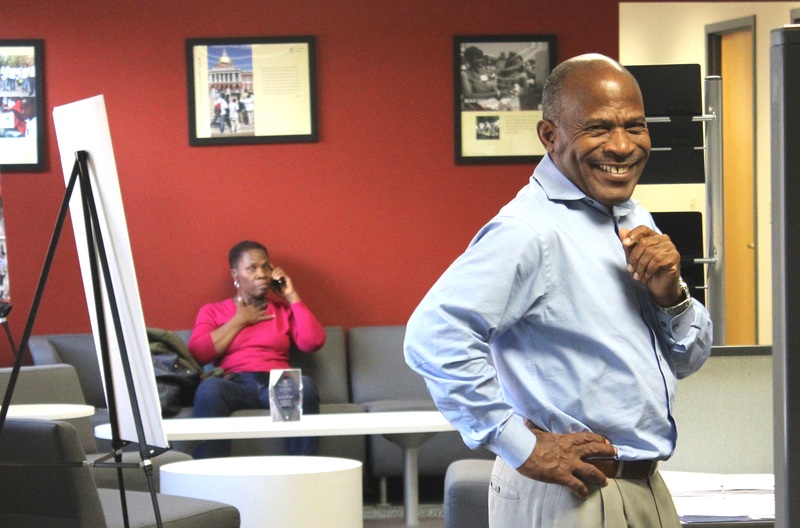 Gentle developed his listen-first approach in the 1990s under the mentorship of Lillie Searcy, who recruited him to join the board of the Mattapan Family Services Center. Education? They helped to start an adult education program and bring the first new library to Mattapan since 1932. Housing? They worked to expand low-income housing and create the neighborhood’s first foreclosure program. Economic development? They launched Mattapan Square Main Streets after a dozen years gathering community support. Safety? They created Mattapan United, a community-led coalition to address drugs and violence. Personal finances? They arranged for a free tax preparation site in Mattapan – the second in the city – through the Boston Tax Help Coalition. Gentle worked first for a state workforce agency, then became director of the Roxbury Resource Center, a satellite one-stop career center. When the Center shifted focus to financial empowerment in 2014, Gentle weathered much more than a name change. He learned grant management and new software, moved to a new location, oversaw a doubled staff, and re-trained with them to become financial coaches. Gentle leading a tax volunteer orientation on a Saturday morning. Where some might resist such a dramatic overhaul, he celebrated. He is still elevating that work – from teaming up with job training programs to bring financial coaching to more people, to building the credit review into Financial Check-Ups for a bigger impact. And as director of the Roxbury Center for Financial Empowerment, he now oversees the busiest of the Boston Tax Help Coalition’s 35 tax sites. During tax season, you can find Gentle volunteering nights and weekends at the Center to help more residents claim cash back on their tax returns. Because as far as he is concerned, every little bit helps – whether it’s saving money or helping others. Read more about Alan Gentle’s award-winning work in this Bay State Banner article. ← Volunteers: Does your employer reward your generosity? Many do.